Last winter, with mountains on my mind, I set aside two prime summer weeks for hiking vacations. On my first, Dani and I put rubber to the road on our way to the Rubies and Sawtooths. This week, I once again did two separate hikes. This post is about the first trip in Ansel Adams Wilderness and Yosemite. It started with Beasore Road – long, uphill, dirt, dark. My favorite departure – 4:30 p.m. on Friday, straight from the office. Late, I pulled into camp deep in the west side of the Sierra, on the edge of the upper San Joaquin. We’d pivoted from another, longer, further afield itinerary because there was too much work to be done at Dani’s office. At mine too – but boy was I ready for an escape. An evening of successful tenkara fishing – still totally beginners. This Yosemite loop, over Fernandez Pass, Merced Pass, Red Peak Pass and Post Peak Pass, has been on my list (yes, I have lists) for years. It’s accessed from numerous trailheads – all of which are a long walk away. I chose Fernandez TH for it’s remoteness, proximity to Clover Meadow and opportunity to form a true loop (as opposed to a ‘lollipop’ or balloon with a string). Dani and I really enjoyed ourselves. Post Peak Pass is special due to the long time that you spend walking it’s high ridge. With our new tenkara rods, we caught our first fish. I, being at least a bit pathetic, fumbled with holding them and removing the flies. It was really a lot of fun. 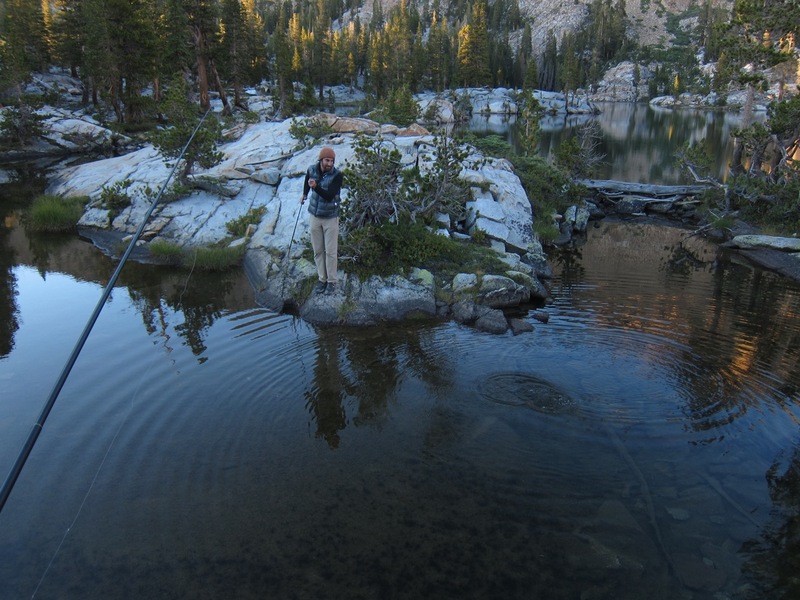 Lower Ottaway Lake was my favorite camp – partially because of the fishing. Rutherford and Porphyry Lakes were nice as well. Porphyry especially because of it’s incredible, large, porphyritic granite. 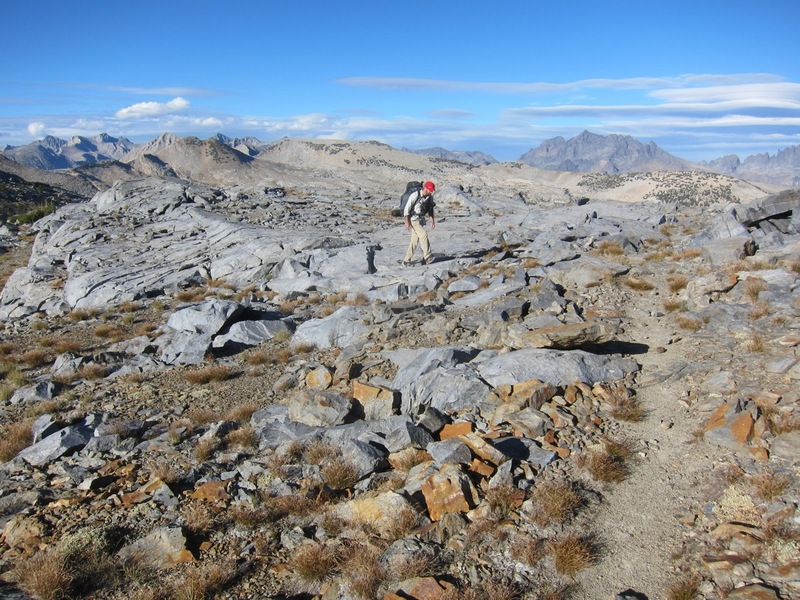 The stretch of trail north of Triple Divide Peak warrants another visit. There is a special feeling that comes with knowing a place. Our trip provided sweeping views and I took pleasure in knowing the peaks, basins and ranges (usually by having visited them) well off in each direction. I’d walked that range, slept in that basin, crossed that pass. There is still much more to visit, but usually there are good reasons that most people don’t go. 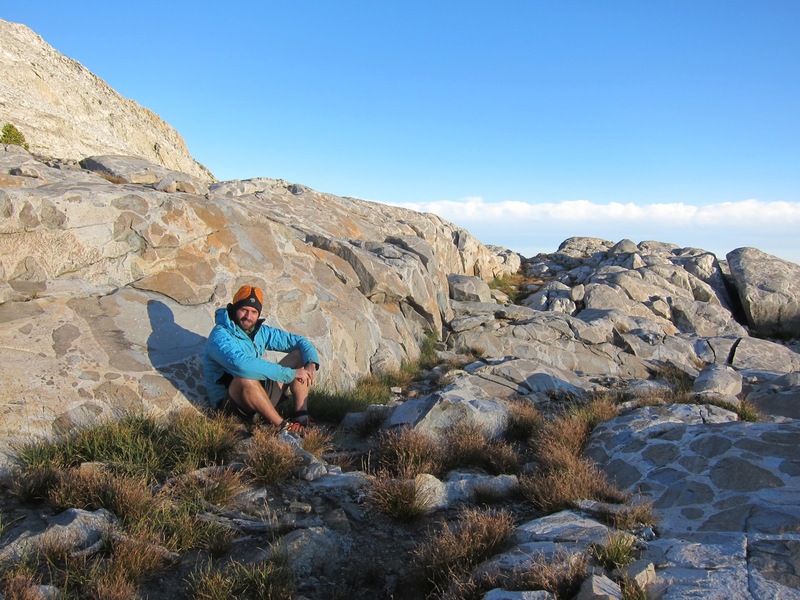 Camp was entirely encircled by incredible porphyritic granite. On our way out, Dani and I walked a trail that we’d been told didn’t exist. It was mostly true. With absolutely no sign of the turn off, we headed cross country down the Post Peak drainage. Dani stuck closer to the pools and I hopped between rare cairns and traces of trail. I was a damn good time. Tuesday afternoon, back at the cars, I’d still not made up my mind as to where to go hiking next. Dani was leaving and I’d be alone. Still cautious about being injured and alone, I wanted to stay on-trail. The list of fifty mile trips, in desirable places that I haven’t been, is becoming pretty short. Somewhat frustratingly so. Beyond decision time, I motored up and headed north to Emigrant for what I thought would be a merely O.K. use of my vacation.